In the current phase of my journey since 2016. Took a few detours since I first started in a band called The Instigators many years ago. The idea for the song is that innocence is not defined by the innocent. You see it everywhere as there are so many mediums to voice opinions, which, for the concept of free speech is a great thing. However, this means that no matter your personal view of your innocence, it is really in the control of others, whether justified or not. So, in the song I try to define what innocent means to me. There was always music at home, Country, Rock Steady, Ska and Reggae. An uncle living with us had a Sound Sytem which gave my brothers and me exposure to all the classic Jamaican music. Just after getting my first job my brother decided we are starting a band. a local Sound System owner ‘Fatman’ decided to open a few doors for us and the band had some moderate success. Then the inevitable happened and the band broke up as life and commitments got in the way. I pretty much left the music industry. But, I always knew I had unfinished business and so decided to give the dream another shot. What do you think of the music industry in 2017? The industry has changed so much since my first experience of the industry. So much was controlled and in the hands of others. To try and release a single yourself with any chance of success was also impossible back then. Now, you can cut out the middle man and if you are prepared to wear the many hats that an independent artist / producer needs to wear, you can make a success of it. Well, there are so many artists out there it is hard to make a clear distinction but, I always try to build the song around strong lyrics and a good melody and try to add something different. The follow up single to Innocent has a working title ‘Feeling Mellow’ which will be a more ‘feel good’ song. Another single and a Dub EP. Then, collaborate on some singles. Thanks to everyone who follows Miss Tun Pickney and contributed in any way to the productions. 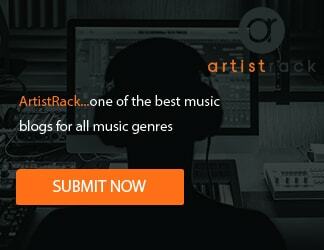 Also, thanks Artistrack for helping to promote Indie artists.